Queen of Grunge - Artwork by Gerrie Johnnic: Artistic Outpost..........It's a NEW RELEASE Hop!! Artistic Outpost..........It's a NEW RELEASE Hop!! What a wonderful way to start the new year off, with new stamps from Artistic Outpost! 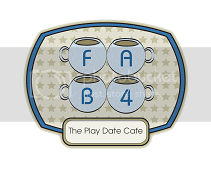 There are two new sets, a background stamp that matches the masculine set, and 4 single stamps this release! You can see them all here. Keep reading below to see how you can win a $15 Artistic Outpost Gift Certificate! I love masculine stamps..........straight up and no ribbons, bling or lace, well, at least not on mine, lol! 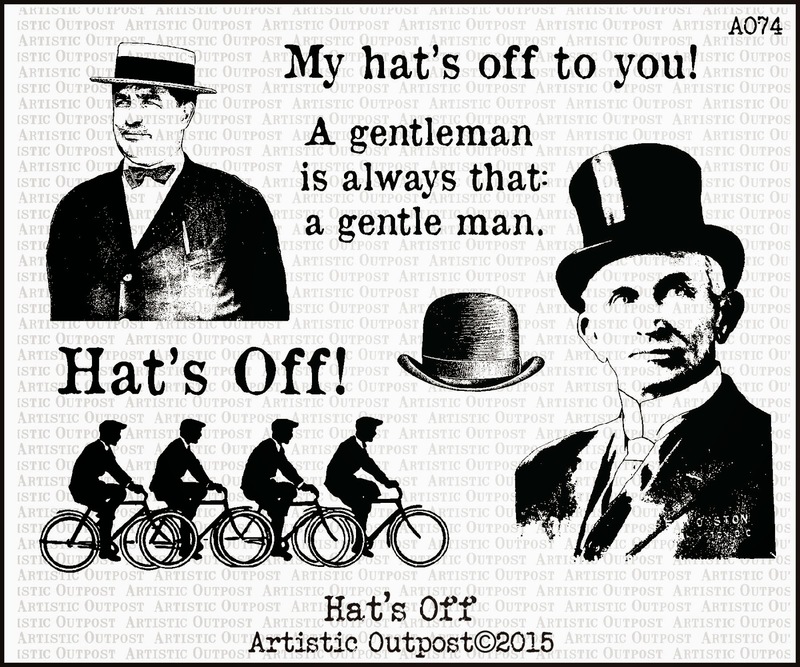 I am sharing 2 cards from the new Hat's Off set today. 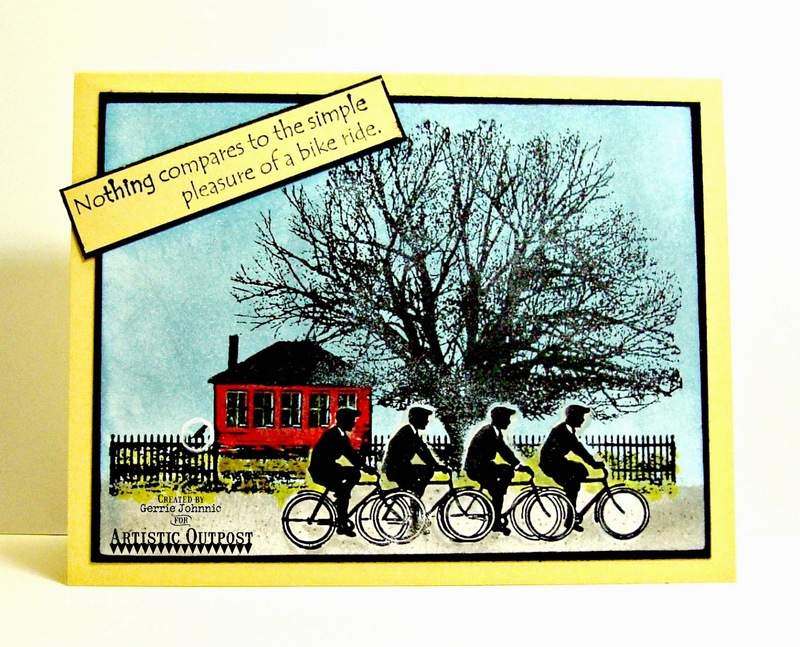 My first card uses the biking stamp along with this scene from The Outpost and the sentiment from A Lovely Day. Remember, the Artistic Stamp sets combine to make so many different works of art. I masked and used distress inks, along with India ink. I used the handsome, top hat gentlemen from Hat's Off, along with a stencil, embossing paste and crackle paste, colored with distressed inks. I stamped on tissue paper and applied to my stenciled background. Of course the steampunk is from the Steampunk set! Just for commenting on the Design Team Members Blog Posts, you have a chance to win a $15 Artistic Outpost Gift Certificate, good towards the purchase of AO Stamps. You have until January 23, 2015 at 10:00 PM CST to leave a comments on the participating designers blogs for a chance to win! Three random winners will be selected from the comments left on the designers blogs, the winners will be announced on the AO Blog on January 24, 2015, be sure to check back there to see if you have won! Please be sure to stop by the rest of the Design Team Blogs to see their beautiful art. I love your cards! The one with the bicycles is my favorite. I really like seeing a mix of stamps from different sets. Thanks for sharing your talent with us to give us inspiration. I love that you put the cyclist with the outpost! So gerrie! Hope you are doing well! Love the mixed media gentleman too! A great combination of stamps for the first card, Gerrie (and my favorite), but love the vintage feel of both. And, yes, definitely masculine. Have fun hopping! The first card is my favorite - I love how you combined the sets. I can see I will have to buy the cyclist stamp set! I love both cards. The men biking on the outpost background is soooo appropriate! This is a great release! Love the bikers, GF! The pop of red from the Outpost is wonderful. The gentleman looks so cool with that textural background! Love them both! 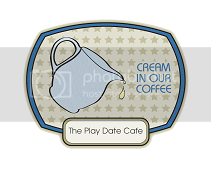 Love the AO stamps and you have made some great cards with them ! Love those bicycling people! The steampunk is so popular right now too! VERY NICE!!!!!!!! LOVE your first card with the TREE! I have ALWAYS LOOOOOVED that tree! AND the bicycles are an added attraction with this set! 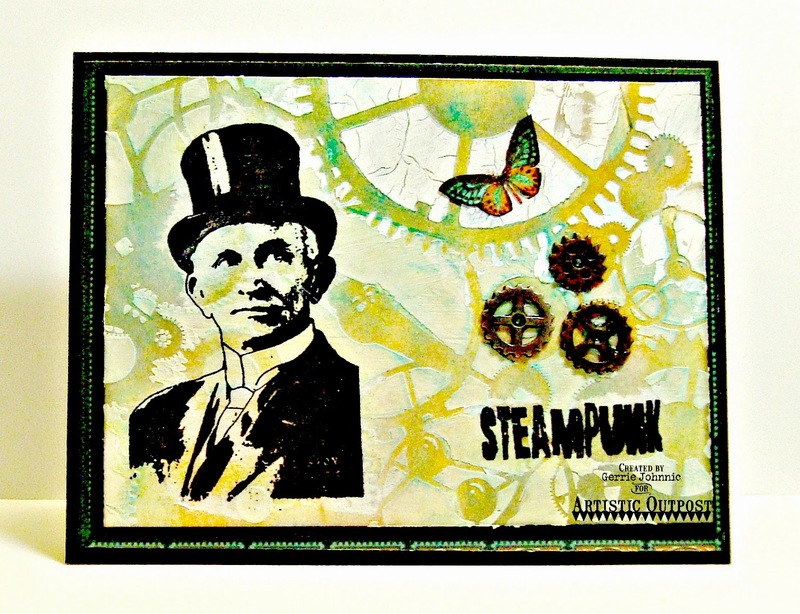 Your masculine/steam punk card looks FABULOUS TOO!!!!!!! :) LOOOVE how you've added all the elements to this card! ;)SUPER JOB!!! Lovely colors and backgrounds. Loving how you made a watercolor effect with the stenciled background! Hey GF both are fab cards love the bicycles and lovely background stamp great job on that one....your second has a very interesting background love it. Beautiful scene on that first card, love the colors of it. Love love! Thanks for sharing your work! 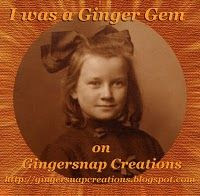 I've seen the new stamps and the samples with them - among them yours - on the blog Gerrie, very beautiful!! Love the combos and colors in your cards - great masculine ideas !!! I love the colours in the first card and you have really showcased the gentleman well n the second! Fabulous combination of stamps on the top card! Pure genius to add the bicycle men to the Outpost, love the pop of added color! The mixed media BG works wonderfully with the top hat guy from Hat's Off! All content, including text, photographs and concept design work are © Gerrie Johnnic. The creations shared here are for your inspiration only. Please use my designs and ideas for your personal use only. Thanks! Artella YOUpons: all the current coupon codes from Artella!